Le Voyage Dans La Lune opens with a group of scientists at the Astronomic Club. The lead scientist, Professor Barbenfouillis (played by Méliès), attempts to persuade the club to journey to the moon. After much arm-waving and general shouting, they agree to Barbenfouillis’ plan. After a short flight, they crash land into the eye of the planet and head out to explore. They find the Moon inhabited by a group of aliens, known as Selenite. One of the Scientists kills an alien and the Selenite attack and capture the group. At 14 minutes, Le Voyage Dans la Lune, or The Trip to the Moon in English, was Méliès’ longest film up to that point. That was long for a silent film at the time. The film also cost an eyewatering 10,000 francs to produce, which is around $60,000 in today’s money. In comparison, Edwin S. Porter made the Great Train Robbery (1903) for only $150, which is about $5000 today. The film featured almost every trick and technique that Méliès had discovered from his previous films. Men disappearing, dissolving transitions and a panning shot all appear. Panning and zoom shots caused a problem as the cameras were too heavy to move. So Méliès’ put the actor on a chair and pulled them towards the camera. He decided he needed to stand out from the popular “actualities” films. So he drew inspiration from what he knew best: Theatre. He designed the shots look as theatrical and stylised as he could. Méliès framed each scene as if you are watching the actors on a stage. The scenery is deliberately cartoonish as if you’re looking at painted sets. This theatrical theme was a brave choice. Many actors of the day considered acting in films as “selling-out” and could ruin an actor’s career. Today, Le Voyage Dans La Lune seems strange compared to modern films. The scenes feel a bit flat, and the acting wooden, but that’s common of early silent cinema. The pace of the opening scenes is very slow. There is a lot of unnecessary running around and gesturing at things. The constant cross-dissolves are rather annoying. But this was a new toy and directors wanted to play with it. However, there are some stunning shots, even by today’s standard. The scene where the rocket goes into the eye of the moon is both comedic and poignant. The mushrooms at the Saline’s habitat are gorgeously laid out. Most of the frames are works of art on their own. You can see that a lot of love and care has gone into making this movie. The coloured version of the film is even better. Elisabeth Thuillier’s team of colourists hand painted every frame of the celluloid. Méliès released both versions around the same time. Behind the whimsical facade, Méliès has included a moral message. The film has an underlying anti-imperialist theme to it. Méliès grew up and lived in France – the second biggest imperial colonial power. Plus, he had spent time in the biggest empire – England. Stories of Invasions, rebellions and civil wars filled the newspapers. Méliès would have been aware of the government propaganda, and arguments against the empires. 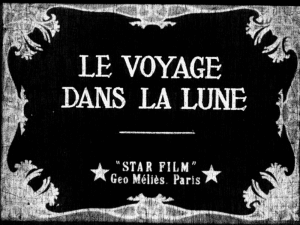 Le Voyage Dans La Lune was a great success, and a hit with audiences and other filmmakers alike. In fact, the film industry loved it so much that major studio’s pirated the film. An unofficial shot by shot remake came a few years later. Méliès hardly saw any profits from the film. 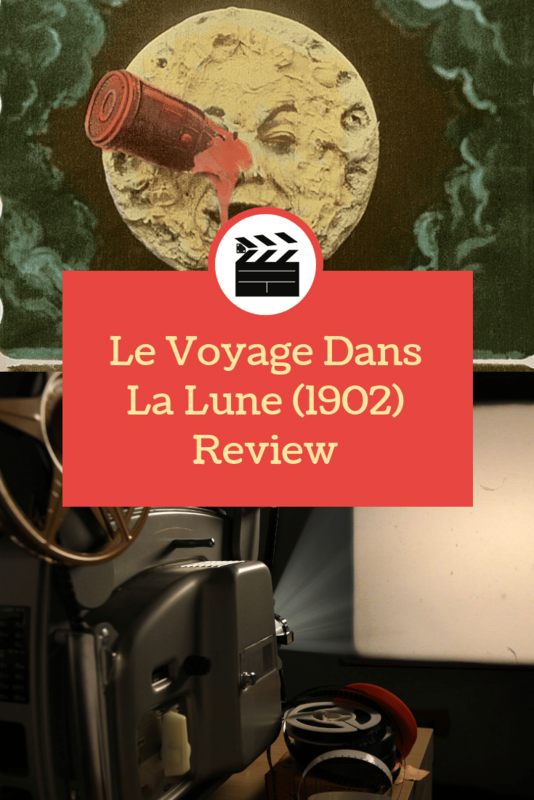 Le Voyage Dans la Lune was a catalyst for a change in the film industry. Filmmakers realised that longer, more theatrical films could be profitable. Movies began to get longer and more ambitious. The line between film and stage acting began to blur. Georges Melies deserves his place in filmmaking history. His inventive imagination, and passion for using it, helped shape the industry for the better. While it has it’s problems, Voyage Dans la Lune is a groundbreaking piece of filmmaking. It’s beautiful, poignant and comedic in equal measures which were unusual for the time. This piece of movie magic deserves to be kept alive. It’s my go-to film for introducing people to silent cinema, and always will be.